Is Easter the best time for camping ? It’s long been thought so. If you’re planning to take the family away for the weekend here are some places you might want to check out. TreeScape at Port Stephens – About 2 and 1/2 hours north of Sydney. They cater for campers and the not-so-keen campers with studio and villa accommodation as well as unpowered campsites for tents only. A beautiful location close to One Mile Beach. Nora Head Holiday Park – This is a great caravan park for the family 1 1/2 hours north of Sydney. 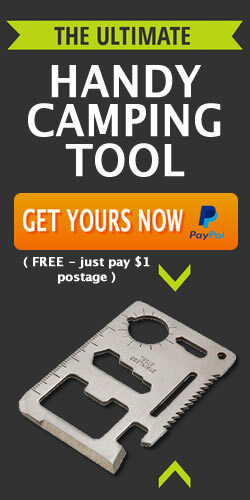 It’s very popular and according to their website only has limited camping spots available over Easter, so get in fast ! They also have several types of cabins available. Walking to beaches, great fishing and boating as well as swimming. It can get a bit crowded but that’s because it’s such a nice park. Bangalow Campground – In the Watagan’s National Park one of the Bunyip’s most favourite places to camp ! 2 hours north of Sydney with lots of things to explore. There is no need to book – just turn up and claim your spot. It’s generally clean and with free BBQs. There are toilets. You need to bring your own drinking water. The kids will love exploring the area there are so many adventures to be had there. Hat Head National Park – 5 1/2 hours north of Sydney on the stunning Mid North Coast is where you will find this Hat Head. There are a few different camp grounds available, but the one I would recommend for caravaners is the Smoky Cape Campground. It’s $7 a vehicle and somewhere between $3 and $5 per person. If you’re tenting then you should really check out some of the grounds almost right on the sand dunes ! You’ll love it. Yes Easer is a most excellent time to go camping with the family !